Ummm…. My partner calls me Supagirl. I kind of like that. Of having lived an ordinary life. Eclectic, empathetic, energetic – I couldn’t think of anything else that begins with ‘e’. Probably Eloise because she’s bratty and lives in the Plaza Hotel in New York. I spent a lot of time in hotels as a child but was always painfully well-behaved. I wish I’d had a bit more Eloise in me. Probably five years ago and I’d become fabulously rich by predicting the future. Well done. You’ve done a pretty good job of avoiding living an ordinary life. My contemporaries and other writers before me. Reading. I have always been a voracious reader and loved books so much I wanted to make them myself. That’s right. ‘What’ is my favourite word, closely followed by ‘why’. Just being silly. Although, that’s another good word: ‘silly’. I kind of like ‘serendipity’, too. And ‘courage’. Actually most words are pretty fabulous and if you put them in a particular order they can do amazing things! Maybe Now I Am Six by AA Milne. Though that’s a tough call. Sally Rippin is an Australian author and illustrator of more than 50 books for children. 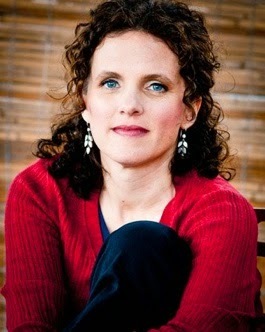 She is the author of the popular Billie B Brown and Hey Jack junior fiction series. 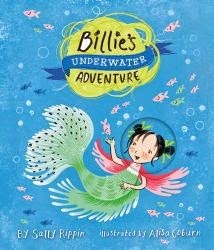 Her latest books are two Billie stories for younger readers, Billie's Underwater Adventure and Billie's Great Desert Adventure, both illustrated by Alisa Coburn and published by Hardie Grant Egmont. Visit Sally's website and Facebook page for more information about her books and illustrations.